Seeing the big five animals in Africa is an exhilarating experience. We got our first glimpse of Africa’s mighty animals in Kruger National Park. An elephant herd walked in front of our vehicle our first day on safari and we knew every sighting after that would be amazing. The elephant is one of the big five in Africa, but what other animals are in that group? The Big Five animals are the following African wildlife: African Lion, African Leopard, Cape Buffalo, African Elephant, and the Rhinoceros. The moniker the “Big Five” refers to the five deadliest animals that were popular with big game hunters. 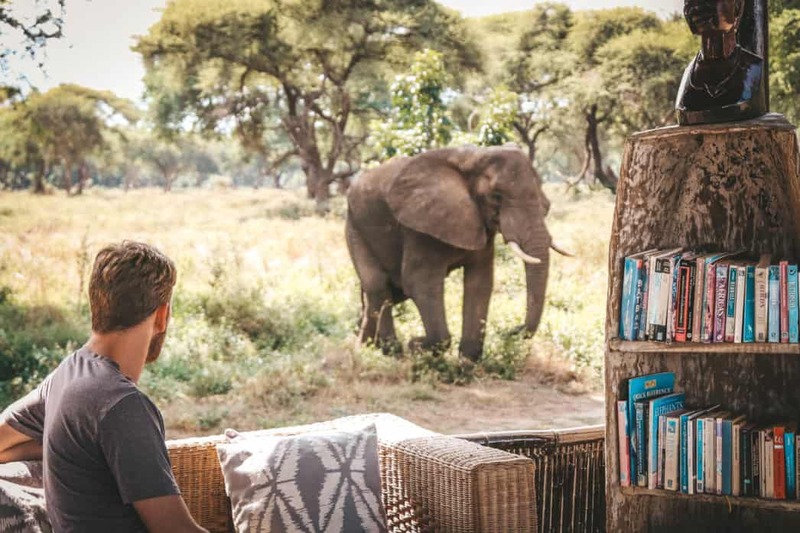 It’s also one of the first questions asked on safari and we figured it would be useful to clarify what exactly the big five are and a little about each animal. The lion is the king of the jungle. Granted, the one habitat lions can not be found in Africa is the jungle. It’s little wonder that they are the most sought after animal on safari and likely the one animal synonymous with Africa. African lions live in a pride and are thought to be some of the most social cats in the world. Tanzania is home to a whopping 40% of Africa’s lion population! 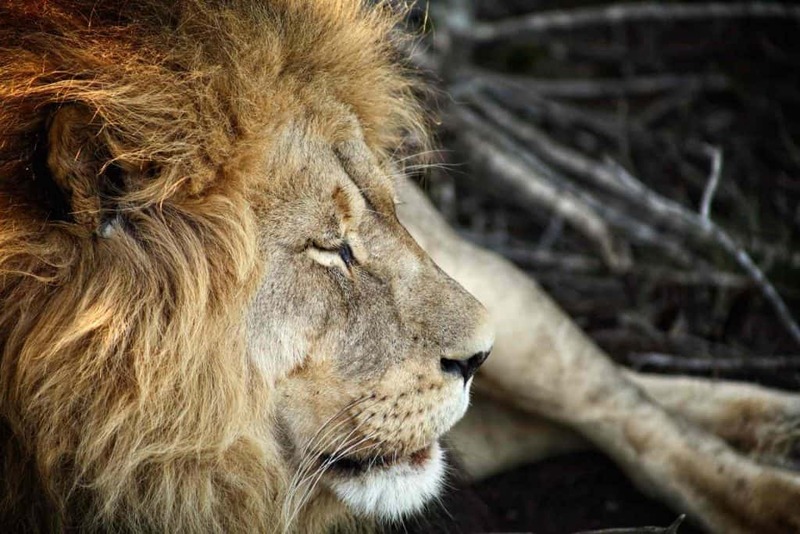 While, a lion on the hunt is marvelous to watch the majority of safari goers see the lions basking in the sun after a meal, just like a house cat. The Leopard is the most widespread of the big five in Africa. However, it is the most elusive and the hardest to spot. The leopards are masters at camouflage. They choose to stalk their prey and once caught they use their power to pull the meal into a tree. Spotting one in the wild feels like a real treat. It took us five months on the continent until we saw one stalking two Red Lechwe in Moremi National Park. By the time we could grab the camera he was already hiding underneath a bridge. It was a fleeting glimpse of a leopard and it illustrates the illusiveness of these majestic animals. 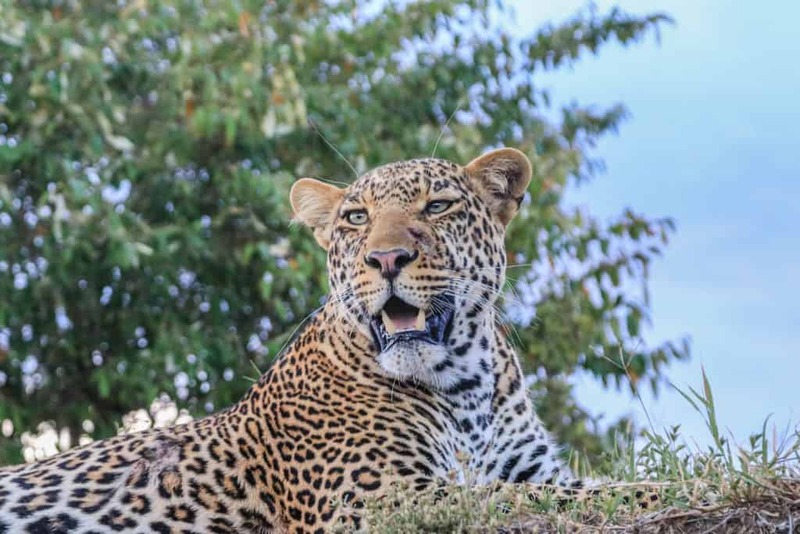 Update: We saw a few more leopards in the Masai Mara, the Lower Zambezi, Mana Pools, and Hwange! 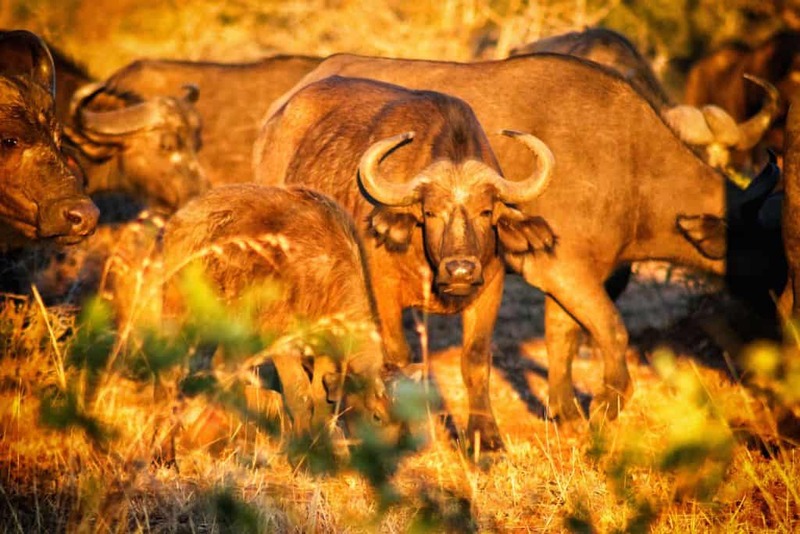 It’s hard to pick which of the big five animals would be the most frightening animal to come across in the bush, but the buffalo might be the easy choice. They’re known for employing the strategy of charge first – ask questions later. So, when we went on a bush walk in search of them we made sure to have the right safari clothes for the environment, and that was green in the rainy season. They can charge at almost 35mph and are one heck of a formidable force. There are almost no predators to these guys other than some very brave (and hungry) lions or a massive crocodile. Don’t worry you’re at least safe in a game viewer! 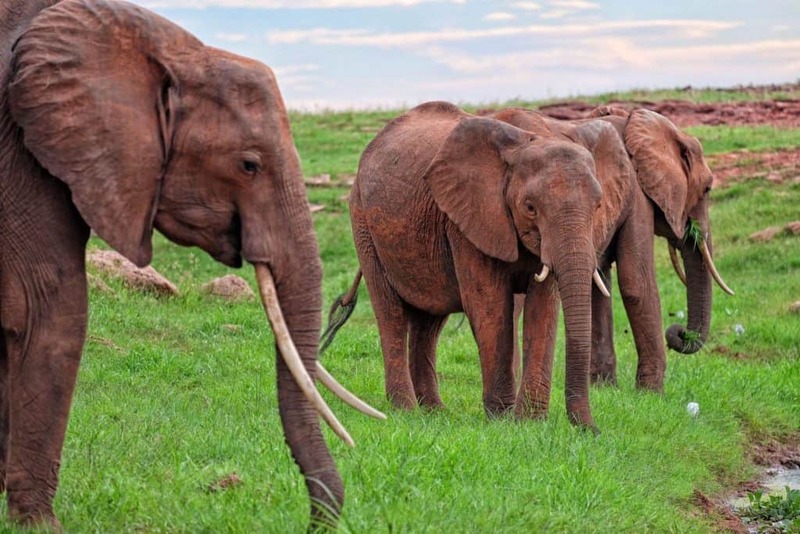 Despite being one of the most loved African animals Elephants are very deadly. There is no denying the elephant belongs in the “Big Five.” However, one of Africa’s most dangerous animals is also it’s most iconic. They can be found roaming in herds in 37 of the African nations and they’re also the largest land animals on earth. Elephants are highly intelligent animals displaying emotions, memories, problem-solving skills, and deep social bonds on a daily basis. It only requires a few minutes with these animals to understand the intelligence and what all the fuss is about. They are easily our favorite animal to watch on safari. The thought that these animals are so frequently abused by humans pains us both. Elephants are not meant to live in cages, give us rides, or provide us ivory, they belong in the African wild. The Rhino is the most threatened of the Big Five animals. Poachers are ravaging the Rhino population due to the popularity of Rhino horn in Vietnam and China. It is an utterly ridiculous practice of believing it cures impotence. Leave it to some men to come up with the most far-fetched idea that has lead to devastating effects. 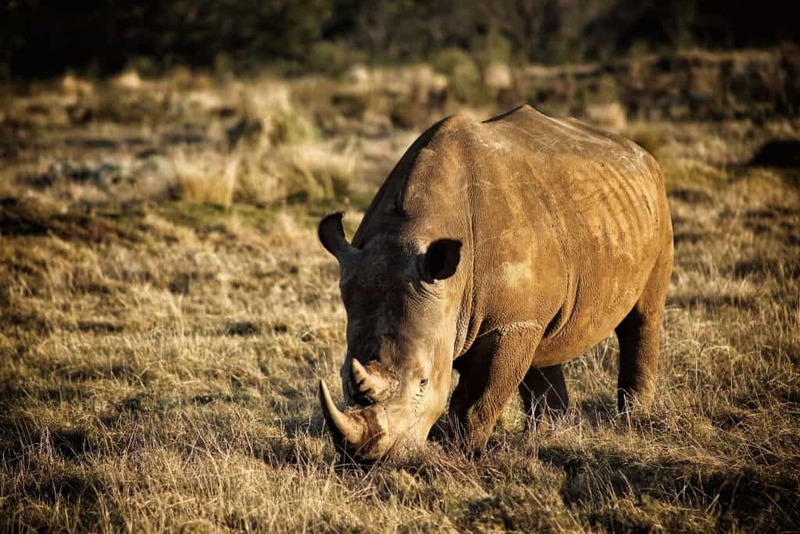 The population of Rhino is dwindling and it’s likely they will become extinct. 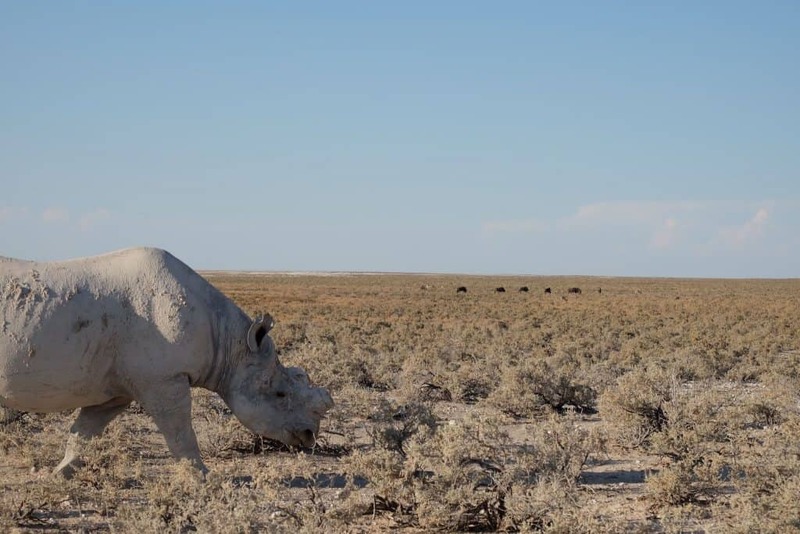 We’ve seen two types of rhinos in Africa, the black rhino, and the white rhino. Despite their names, both animals are similar in color. The two most notable differences between the species are the mouth and size. Black rhinos are nearly extinct, they are smaller in size, and have a pointed lip designed for eating bushes and twigs. While the White Rhino is has a wide lip and is larger in size. The top photo is a Black Rhino and the bottom is a White Rhino. Ones with their horn like below are protected by 24/7 armed guards and the others are left in the wild after having their horns surgically removed. 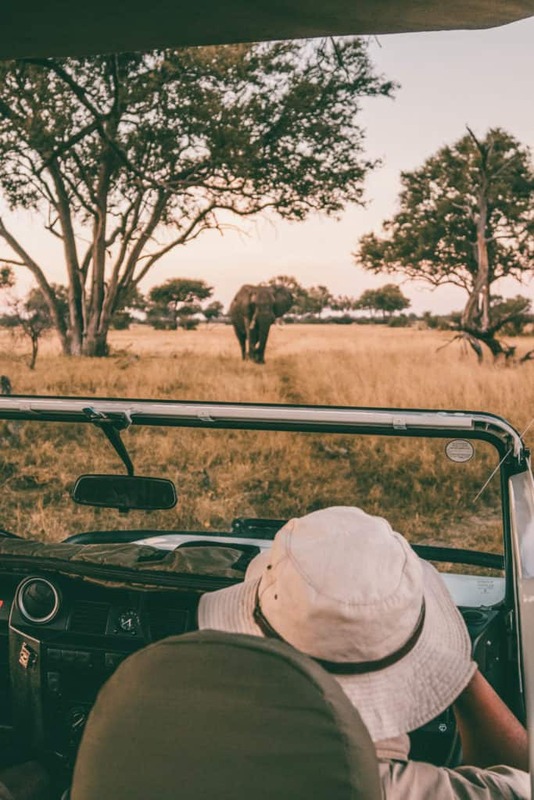 Make sure to know how to plan a safari. Look the Part: Our favorite safari clothes. What’s your favorite “Big Five” animal? Leave a comment below!